This week I picked up a few items from IKEA and assembled a new standing desk for my office. As you might imagine, there was a bit of cardboard packaging left over. Fortunately, it hasn’t gone to waste. 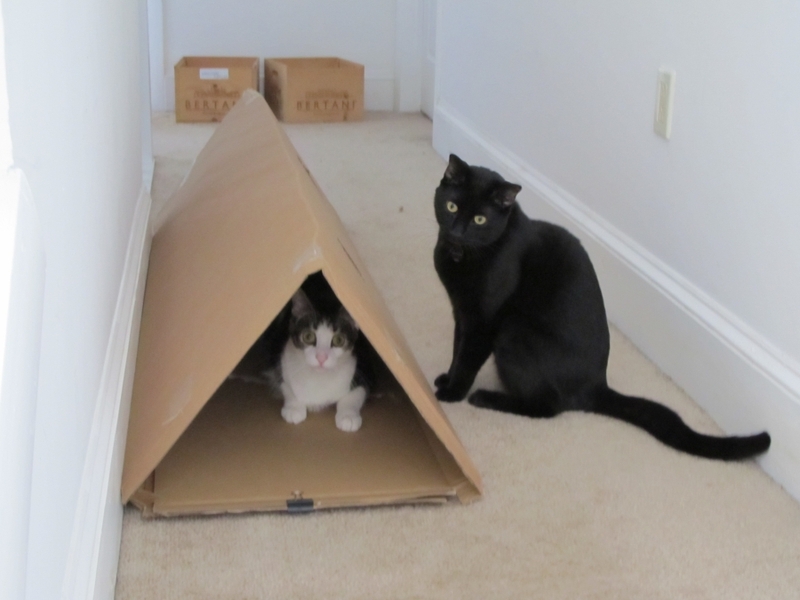 Puck and Ollie have been making good use of the cardbaord as a kitten tunnel for hiding, running, and general purpose silliness. Sure, we’ve bought the kids plenty of little toys from the pet stores over the years. But nothing amuses kittens as much as a cardboard box, no matter what shape or size it is. If you watch closely, you’ll notice that at one point before she pounces, Ollie is poised on her back paws with her front legs lifted in the air before her. I’m pretty sure this defies at least a few laws of physics. This is home for cat and it is very easy to make in free. Very nice article this is, thanks for sharing this cool article here. The video is also too good of cats specially of Ollie.